Dr. Dan Kegler grew up in Independence, Iowa and graduated from St. John’s High School in 1967. He attended the College of St. Thomas in St Paul, Minnesota, graduating in 1971 with a BA in Biology. 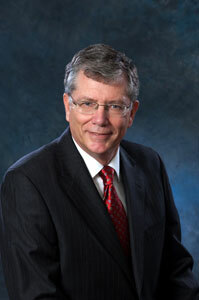 Dr. Kegler graduated from the University of Iowa College of Dentistry in 1975. After obtaining his Doctor of Dental Surgery degree, he completed a one year general practice residency at the VA Hospital in New Orleans, Louisiana from 1975-1976. Upon returning to Independence in 1976, Dr. Kegler entered into general practice with his father, Dr. A.G. Kegler, and subsequently formed Kegler, Kegler & Arend DDS PC when Dr. John Arend joined the practice in 1984. Dr. Kegler has not only been practicing dentistry in Independence for over 35 years, but he has also been actively involved in the community. He has served as President of the Independence Parks and Recreation Department, was a member of the Lions Club, American Red Cross, and coached numerous youth baseball teams, including serving as coach and business manager of the Buchanan County American Legion baseball team for 11 seasons. He is also a member of St. John’s Catholic Church and the Knights of Columbus. Dr. Kegler is actively involved in organized dentistry. In May 2013, he completed his term as the President of the Iowa Dental Association. He has also served as the President of the Iowa Dental Foundation, the charitable arm of the IDA, which sponsors the Foundation’s annual Mission of Mercy (IMOM). He serves in numerous other dental and professional organizations including the University of Iowa Alumni Board, the American College of Dentists, the International College of Dentists, and the Pierre Fauchard Academy. In addition, he served as past chair of the IDA Peer Review Committee. Dr. Kegler has been married to his wife, Vicki, for over 40 years and they have three adult children. His oldest son Brian lives in Ann Arbor, Michigan with his wife Kaci and their two children, Nolan and Noelle. Dr. Kegler’s daughter Leah lives in Washington, D.C. Brad, his youngest son, joined Kegler, Kegler & Arend DDS PC in July 2011, and lives in Independence with his wife Ann and their two children, Claire and Tobin. Dr. Kegler’s other interests include hosta gardening, landscaping, and golfing. He is a lifelong Chicago Cubs and Iowa Hawkeye fan, bleeding black and gold on Saturday afternoons in the fall. Dr. John Arend was born in Dubuque, Iowa and graduated from Wahlert High School in 1974. He attended the University of Iowa and graduated with a BS degree in 1978 and his DDS in 1982. 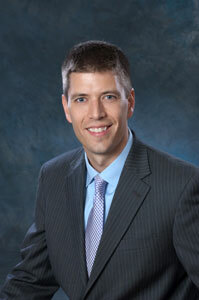 After graduating from dental school, Dr. Arend practiced for two years in Cascade, Iowa with Dr. Edwin Bisenius. In the fall of 1984, he joined Drs. A.G. and Dan Kegler to form Kegler, Kegler & Arend DDS PC. Dr. Arend is a member and past president of the Independence Rotary Club, member of the Independence Ambassadors, Knights of Columbus, and a Eucharistic minister at St. John’s Catholic Church. Dr. Arend is a member of many professional organizations. He is a past president of the Waterloo District Dental Society and currently serves as a Trustee for the Iowa Dental Association representing the Waterloo District. He is a member of the Iowa Dental Association, and the American Dental Association. Dr. Arend is also a fellow in the Academy of General Dentistry and serves on the board of directors for the Iowa Academy of General Dentistry. Dr. Arend has been married to his wife, Connie, for 24 years and they have two children. His son Ryan attends the University of Northern Iowa, and his daughter Madi attends Independence High School. Dr. Arend’s hobbies include golfing, running, cross country skiing, and he is a lifelong Iowa Hawkeye, Green Bay Packers, and New York Yankees fan. He also enjoys attending his daughter Madi’s dancing performances and 4-H activities, as well as being involved with his son Ryan’s hunting adventures. Dr. Brad Kegler grew up in Independence and graduated from Independence High School in 2000. He attended the University of Northern Iowa and graduated with a BA in Biology in 2004. Dr. Kegler attended dental school at the University of Iowa and graduated with a Doctor of Dental Surgery degree in 2010. Following dental school, he completed a 1 year general practice residency in Asheville, North Carolina, gaining additional training in oral surgery, as well as restorative and implant dentistry. Dr. Kegler is a member of the Independence Rotary Club, Independence Ambassadors, and the Knights of Columbus.He also enjoys working with young people and coached T-ball this past summer. 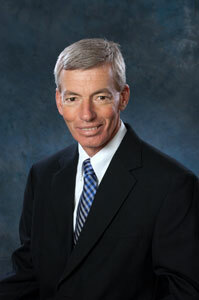 Dr. Kegler is involved in several professional organizations. He is currently serves on the Executive Board for the Waterloo District Dental Society and is a member of the Iowa Dental Association and the American Dental Association. He also participates annually in Iowa’s Mission of Mercy (IMOM), which offers free dental treatment to patients unable to receive access to care. Dr. Kegler and his wife Ann, originally from Dubuque, returned to Independence in July 2011 and joined Kegler, Kegler & Arend DDS PC. They have three children, Claire, Tobin, and Cannon. Dr. Kegler enjoys running, biking, weight training, landscape gardening, and is an avid Iowa Hawkeye and Chicago Cubs fan.